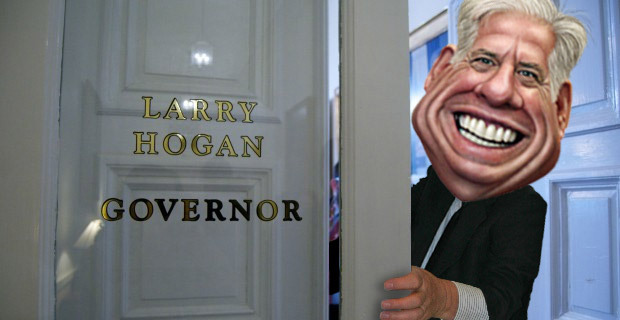 The third full week of the Hogan administration ended on an upbeat note for the new governor. The Maryland Senate unanimously approved 12 cabinet appointments, while Hogan launched an expanded outreach campaign to the legislature. Hogan continues to get hard pushback from Democrats and their allies on his plans for spending — not enough for schools, they say — and tax relief — too much. On Feb. 6, Hogan’s first batch of nominees had been put on hold as a sign of displeasure over what Democrats considered a harshly partisan State of the State speech and spending priorities they didn’t like. Friday morning the 13th, that first set of five appointments and a second set of seven more came up for a vote. Senate Republicans and Hogan’s nominees got a brief scare when Sen. Joan Carter Conway, a committee chair, got up to ask for a separate vote on “Appointee #7.” Oh. boy, who were they going after? Turns out, #7 was not a Hogan cabinet appointment at all, but District Court Judge Melvin Jews in Dorchester. Conway, a Baltimore City Democrat, wanted to especially acknowledge the appointment of the first African American to the bench in the home county of Harriet Tubman. Any other outcome would have been surprising, since half of the Hogan appointments had served in the legislature, and most won high praise in committee. Hogan is publicly embracing bipartisanship but also having private meetings with committee chairs and an ongoing series of happy hours where small groups of legislators from both parties and both chambers have been invited to Government House. The events are more social than agenda-driven, we’re told. With a third of the legislature new to their offices, they are a chance to interact informally. There was also a private meeting with Senate President Mike Miller and a breakfast Scrapple Summit with House Speaker Michael Busch Wednesday morning, as well as breakfast the following day with fiscal leaders. The events are less about changing minds than about creating relationships and dialogue. The public Hogan has absolutely no plans to back down or change the message he believes got him elected and gives him a mandate. “There are folks that don’t want to change the status quo and I’m here to change it,” he told WBAL talk show host C4 on Wednesday. Busch and Miller, and the Democrats they lead, are also not likely to back down on their demands for more school aid and state employee pay raises — policies Hogan says he supports but that the state can’t afford. Thursday’s interim report of the Economic Development and Business Climate Commission set up by Miller and Busch last year shows they may have more common ground than they expect. The commission chose to defer detailed discussion of Hogan’s most persistent complaint: Maryland’s taxes are too high and too many. Democrats have liked to compare Maryland’s job growth with its neighbors in Virginia and Pennsylvania. One chart is particularly telling. It shows Maryland’s job growth of just 0.5% over the past six years, far below the growth of the 15 fastest growing states. Those include not just conservative, low-tax Texas and Utah, but far lower growth rates than Massachusetts, New York, Washington and Minnesota as well. The commission also recommends that state agencies and employees improve customer service, much as Hogan did more bluntly in his state of the state speech. The gov took a break from days of back-to-back meetings on Friday for a lunch with brother Patrick, a former delegate who has joined Hogan’s legislative shop. Hogan has his own chefs in the mansion, but they serve up “healthy things,” he said. He was heading down to the governor’s booth at Chick & Ruth’s Delly for a bowl of a new item on the menu — Governor Hogan’s Bipartisan Crab Soup. A concoction created by his daughter Jaymi, it mixes spicy Maryland vegetable crab soup with cream of crab. It tastes a lot better than it sounds. Hogan is hoping Democrats find the same is true with his agenda.